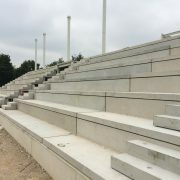 CBS Precast’s Beam & Block provides a cost effective and easily installed floor system which can be used on both ground and upper floors, subject to Building Regulations. 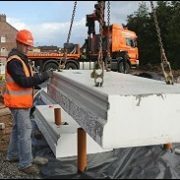 Our Insulated Beams provide a simple and highly efficient, thermally insulated floor. 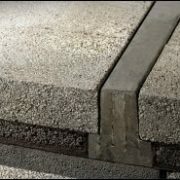 It can be installed on ground floors and offers a cost effective solution which can have a flexible “U” value performance depending on the floor layout and the thermal requirements. 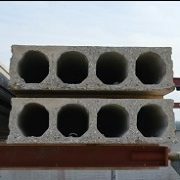 Due to its comparatively light weight and superior strength qualities over long spans, Hollowcore is an ideal product for use in both domestic and commercial applications, providing excellent sound insulation properties. 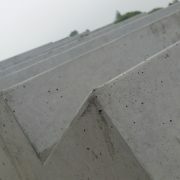 We can offer other General Bespoke Precast products such as, Terrace Units, Lift Shafts and Ground Beams. 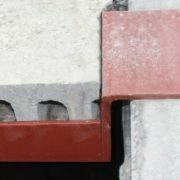 These can be made to your requirements by our design department and then installed by our highly experienced team.